The Korea Herald, a Seoul-based daily English-language newspaper, has published an on the exhibition, titled “Carpets, the Pearls of Azerbaijan,” organized in Seoul. Carpets have been woven in Azerbaijan through the centuries, forming the essential fabric of its multicultural society and heritage. Displaying chic color compositions, intricate patterns and designs, they are appreciated by Azerbaijanis and foreigners alike. Despite being world-class, Azerbaijani carpets are not universally recognized. 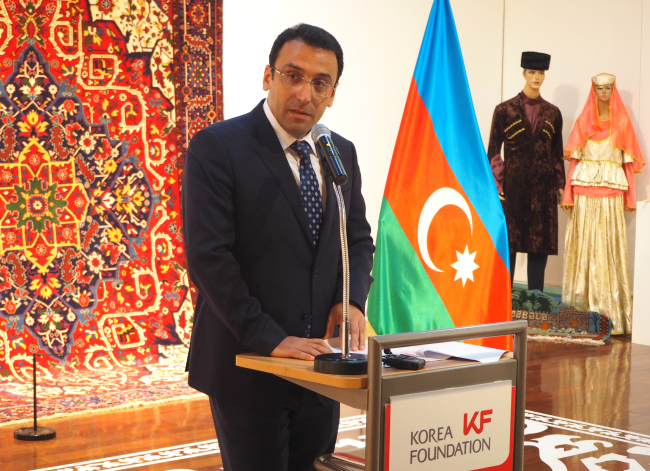 To help promote them, the Azerbaijani Embassy in Seoul has organized an exhibition of the country’s carpets at the Korea Foundation Gallery in Seoul through Dec. 19. The exhibit occurs as part of the centenary celebration of the Azerbaijan Democratic Republic’s independence proclamation. Eighteen carpets, incorporating 18th- and 19th-century designs from the nation’s nine carpet schools, are on display at the exhibition, titled “Carpets, the Pearls of Azerbaijan,” jointly organized by the embassy, the Korea Foundation and Azerkhalcha Open Joint Stock Company and supported by Silkway West Airlines. Azerbaijani carpets are used at the United States White House and State Department as well as many museums around the world, he pointed out, including the Louvre Museum in Paris, the Metropolitan Museum of Art in New York, the Museum of Fine Arts in Boston, the Museum of Art in Philadelphia, the Victoria and Albert Museum in London and the Hermitage in St. Petersburg. Promotion of the nation’s carpets is under the tutelage of Azerbaijani President Ilham Aliyev and Mehriban Aliyeva, the country’s first vice president and first lady, Teymurov said, adding that Baku has a new policy of promoting and exporting its carpets worldwide. The diplomat then turned his attention to the 100th anniversary of the Azerbaijan Democratic Republic (1918-20). Teymurov said the Bolsheviks’ invasion in April 1920 put an end to the democratic republic’s independence and that today’s Azerbaijan, which regained its independence after the fall of the Soviet Union in 1991, has come to be its successor. “I learnt that carpets accompany Azerbaijani people throughout their entire life, and invariably accompany them in times of both grief and joy. 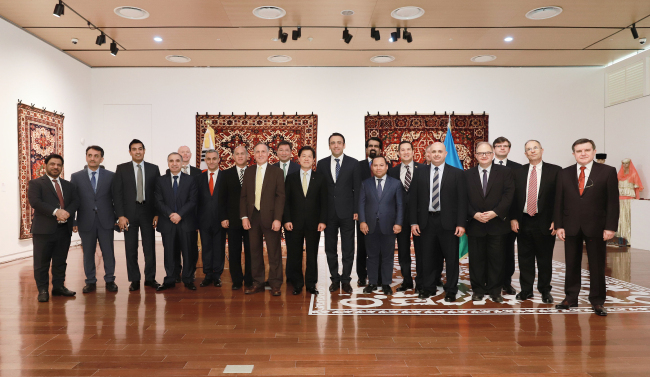 It is a long-held Azerbaijani tradition to weave special carpets to celebrate significant dates or events,” said Korea Foundation President Lee Si-hyung. Turning to relations between Baku and Seoul -- official diplomatic partners since 1992 -- Lee said the two sides have steadily engaged each other in commerce, government, law and defense.